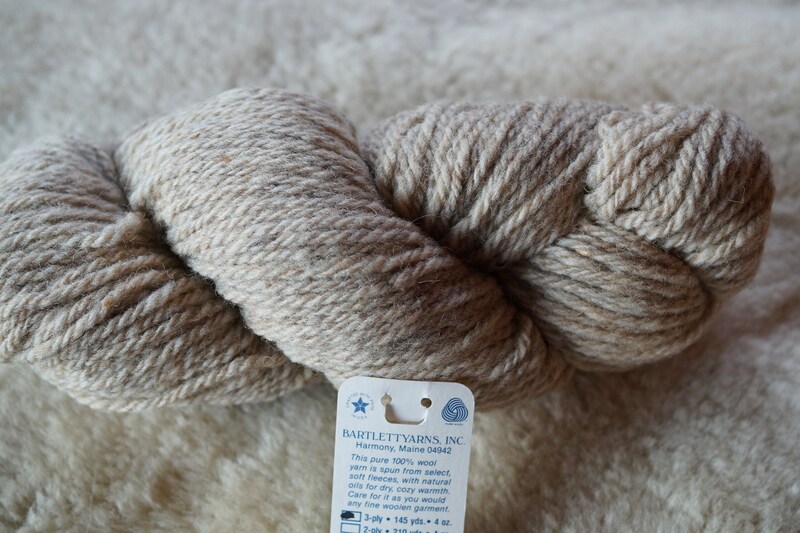 Bulky Yarn: OATMEAL 3 ply bulky/chunky weight wool Fisherman Bartlettyarns. Mule spun in the USA. 145 yard wool skein [hank]. Gauge is 3 1/2 sts per inch on size 10 knitting needles [6.0mm].